I absolutely love tree stamps and this one, Falling Leaves is super versatile. This set can be used for all 4 seasons and since it's suppose to be freezing this coming week in (sunny) Florida I thought I'd share a winter scene with you today. I'd also like to wish everyone a very HAPPY NEW YEAR, may the coming year be filled with good health and blessings for all! 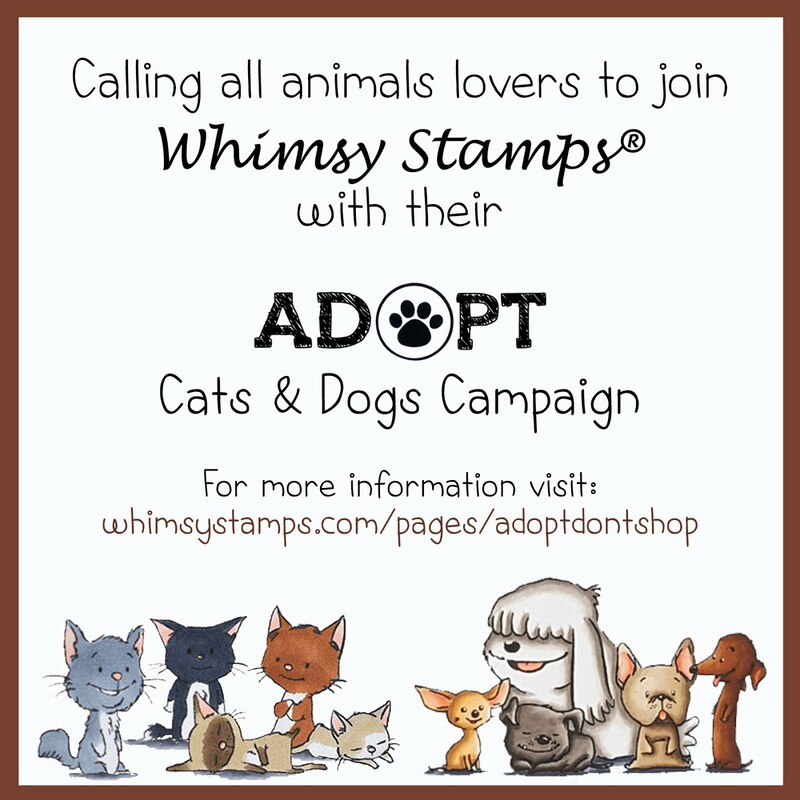 And stay tuned for LOTS of great new products in 2018 from Whimsy Stamps! We have all kinds of of exciting things in store for you kicking off with the new release on 1/2/18 :)! For the background I used a long sticky note and tore a edge off and masked it across the bottom of the white cardstock. Then I used SU! ink (river rock, baja breeze and marina mist) to sponge on the winter sky. 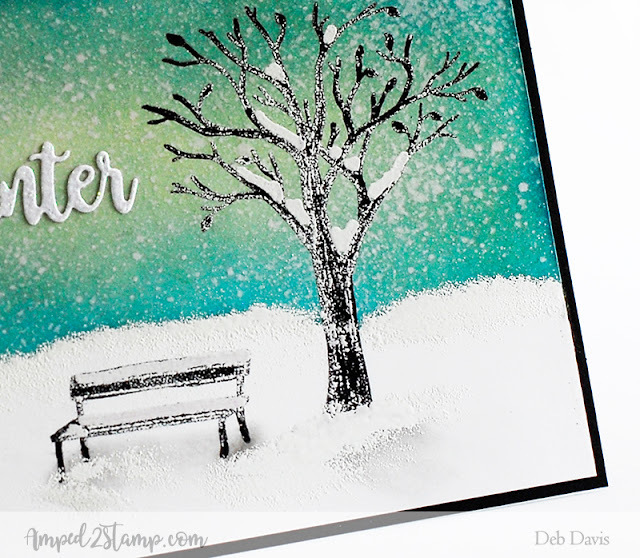 To get the snowy effect on the sky I used a toothbrush wet with plain water and held it close to the paper raking my finger over the bristles so it would splatter onto the background making it look like it's snowing. I stamped the tree and the bench with versafine black ink and used a black marker to color them in solid. 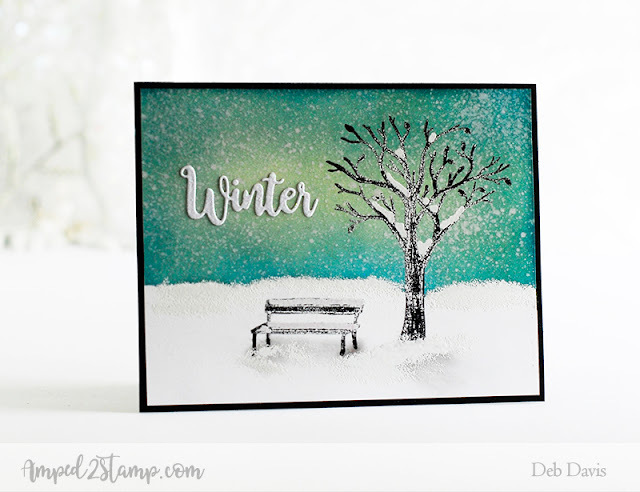 Then I used a versamarker and randomly added it to the tree and bench in spots where snow would naturally collect, then I embossed that with super fine white embossing powder. The light coating on the tree trunk was a happy accident. Apparently the ink from the marker wasn't quite dry so some of the embossing powder stuck to it and the effect was perfect. 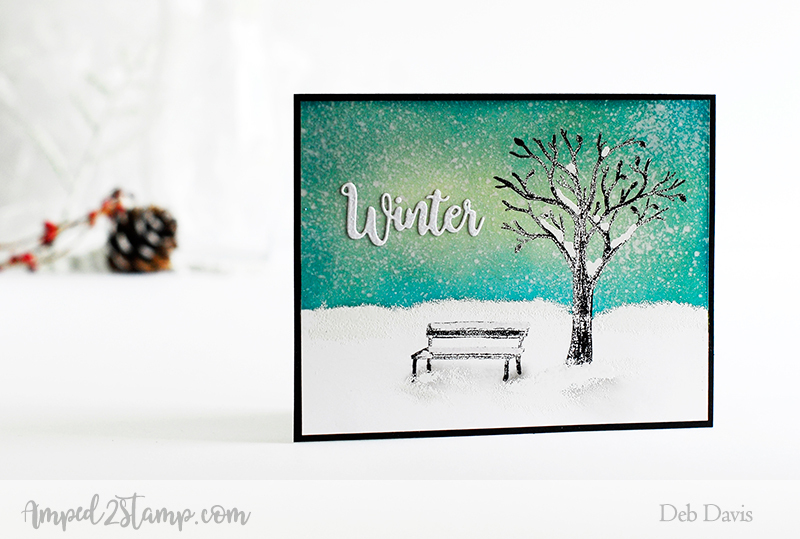 I also added a little more "snow" by sponging on a tad of versafine ink onto the horizon and around the base of the tree and bench embossing that with white powder too. For the final touches I used a little chalk and made some shadows. 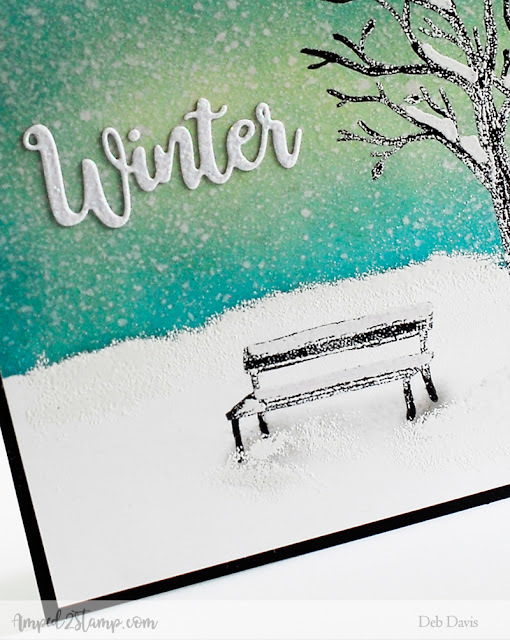 And lastly I die cut the winter sentiment from some glitter paper using the Holiday Words die set then mounted onto a black card base. Another one stamp set card. Maybe I need to start a series of cards you can make using just one stamp set? Hmmmm...oh wait I already have for some recent Christmas cards, you can see all of them HERE.